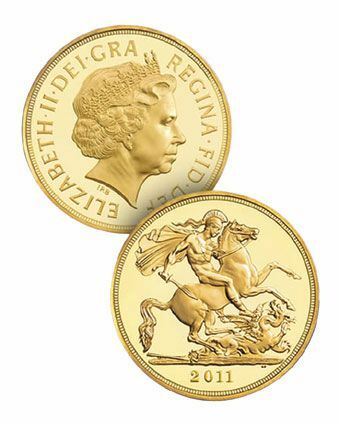 The 2011 Gold Sovereign with the familiar George and Dragon reverse. With it's timeless design it now takes it position with the others as one of the most recognised coins in the world.Did you know! The legal tender value given to a sovereign is £1 pound and a half is 50p. Just remember not to put them in your change!